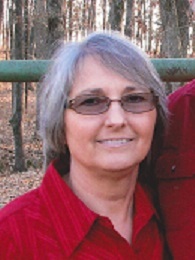 Tammy Lee Larimore, age 58, left her earthly body and went to be with our Lord on Tuesday, March, 26, 2019. Tammy was born Tammy Lee Hunley and later adopted by her loving step-father Cletus Gene Ford at the age of seven. Tammy was born August 1, 1960 in Hutchison, KS and at the age of nine moved to Nevada, MO with her family. She graduated from Sheldon High School in 1978. Tammy was employed at Walmart Pharmacy where she was a pharmacy Technician. Tammy loved being outside, she was not afraid of hard work. Anyone who knew Tammy knew what a loving, compassionate, and strong woman she was. She always thought of others before herself. From the moment she was diagnosed with Breast Cancer in 2016, she was optimistic about her survival. Each time her cancer progressed and she received bad news she took a few minutes for herself then was back to her optimistic self. She was off and ready to meet the next challenge. Tammy was a very private person. She loved her friends and family. When Cooper came up and gave her a hug you could just see her face light up. Tammy loved going to work with her colleagues – she loved the people she worked with. She had an endurance that I’ve never seen before. She loved her life with Kenny and I can never repay him for what he has done taking care of my sister until the end, doing things most people would not do. She loved her family and was always there for them. Tammy is my sister – she will be missed more than anyone can imagine. I loved her positive fun loving attitude. We shared the same bed growing up. She was always there for me with all the milestones in my life. Tammy is survived by her significant other, Kenneth Gary Dean of Nevada, MO; son, Christopher Castlebury, Junction City, KS; daughter, Heather Castlebury, Kansas City, MO; three grandchildren; sister Kathleen Melloh, Keystone, SD; brother, Darvin Ford, Bellamy, MO; three nieces; one nephew; four great nieces, five great-nephews; and one great-great nephew. She was preceded in death by her husband Bud Milton Larimore; brother, Marvin Ford, Jr.; mother, Julia Ford, adopted father Gene Ford; and her biological father, Marvin Ford. Memorial services will be held at 11:00 a.m. on Monday, April 1, 2019 at Ferry Funeral Home in Nevada with Rev. Jerod Lamb officiating. Interment will follow in Marvin Chapel Cemetery. The family will receive friends from 10-11:00 a.m. prior to the service at the funeral home. 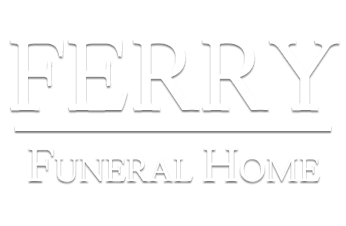 Memorials are suggested to Vernon County Cancer Relief or Breast Cancer Awareness Society in c/o Ferry Funeral Home in Nevada.